Me: Ben, why don’t you give us a quick recap of who you are and what your portfolio looks like for those who don’t know? Ben: Sure. My name is Ben Everingham. 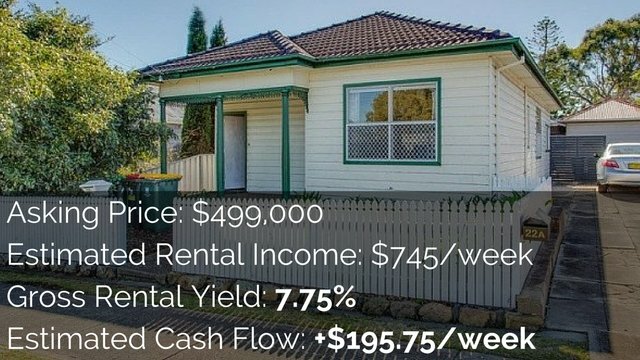 I am a 29-year-old investor who has currently got a portfolio of 4 properties that I earned and I have bought 9 properties over the last four years with my partner. My partner is 25 years old and back then we were joining together. Me: Okay. So what have you found to be extremely difficult over the course of those 9 properties? Ben: I did a little bit of thinking and I think to me there is a handful of things. I suppose the number one thing for me originally was aligning those initial purchases where I actually wanted to be a longer term because I did not have a clear plan or strategy of my investments. I think in the beginning of that it was really difficult without that strategy to actually identify which properties I should be purchasing. So I was really just picking up anything that I thought was under market value where in reality if I had known then what I know now [inaudible 1:31-1:35] what I want to achieve, which is now financial independence through property. Me: So do you have any specific examples of a property that you purchased that maybe wasn’t completely aligned with where you wanted to go and how it turned out? Did it all work out for you or did you have some issues? Ben: I definitely had some massive issues. I don’t think I would find an investor that hasn’t had issues in this game. Me: So if you had done it differently, would you have avoided units altogether or would you just look into it in more detail to find out how much was in the sinking fund before you actually buy? Ben: Absolutely. Well, I would probably wouldn’t buy because I think if I was buying units again, I would probably buy units which [inaudible 2:58] as opposed to a big unit with a hundred plus properties. So it is a really good lesson to learn but again negatively geared property, high overheads, uncontrollable overheads, not creating any passive income and not having any significant gains is completely the wrong sort of property for the journey we are on now. Me: Okay, awesome. So what else has been difficult? Has anything been difficult specifically around the topic of lending? Ben: Yes. I think lending is the number one issue I continually face. A really good example of this was a couple of years ago when I got my first home loan through one of the banks in Australia. I had gone back to my bank manager and asked for another loan because I found a property that I thought was about $120,000 under market value. She said that I couldn’t borrow any more loans and I took her word for it. I lost the property. I went to a mortgage broker two weeks later and he said that I would have had no problems getting the property if I was with him. Unfortunately it was just one of those opportunities where that property was at the time actually worth about [inaudible 4:21] more than I payed for it [inaudible 4:25]. Definitely one of those stories where “you win some you lose some”. Me: So the hardest thing around lending is finding the right lenders who are actually going to like give you money? Ben: Absolutely. Find somebody that’s prepared to work as hard for you as you work for yourself and finding somebody who understands where you are trying to go and just won’t take no for an answer. However there is not a huge number of really good lenders out there like that. I know you got a relationship with a broker [inaudible 4:57-5:03]. Find who’s good and who’s bad and work your way through that maze. Me: Yeah. I got severely burnt by a mortgage broker in the past which made me say all mortgage brokers are crap. But then I realized that’s not actually true and I just got unlucky. 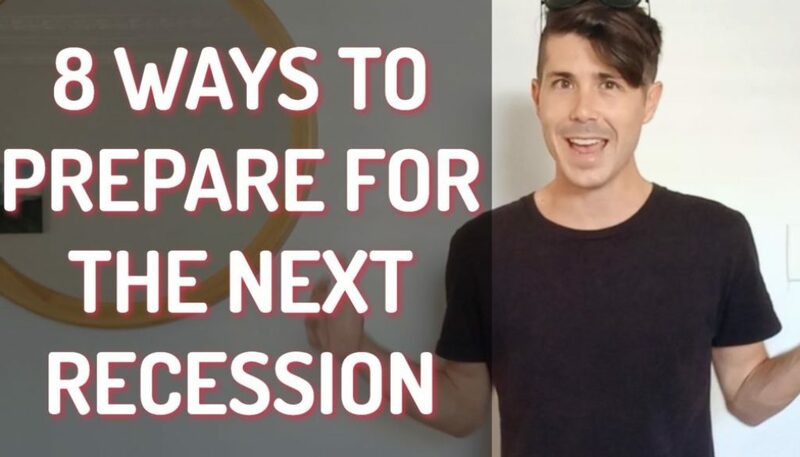 Is there anything else that you thought of that would be one of the hardest things about investing in property apart from what we have already mentioned? Ben: Yes. I think another one may have been investing in areas that you don’t know or you didn’t grow up in. The first two properties are in areas where I actually grew up and are about within a 100,000 radius of the house that I was born in. I think a lot of us do that just because it’s easier and because it’s safe and we know people made money in those markets before. But I suppose what I want now is to invest in the markets where there is growth and to invest as an investor as opposed to an original buyer that’s purchasing in my own area that I grew up in and move on from there. Me: Do you find it difficult after you did those first couple properties where you grew up to go outside of that area and understand how to research an area and where the growth is going to be? Ben: Absolutely yes. I think feeling comfortable is important and there is so much to the property market. Within every market there are areas, there are streets, there are houses, there are demographics, there are schools that actually make that particular time in the market successful. And without getting your hands dirty and having good relationships it can be extremely difficult) to not just look at the bigger picture. 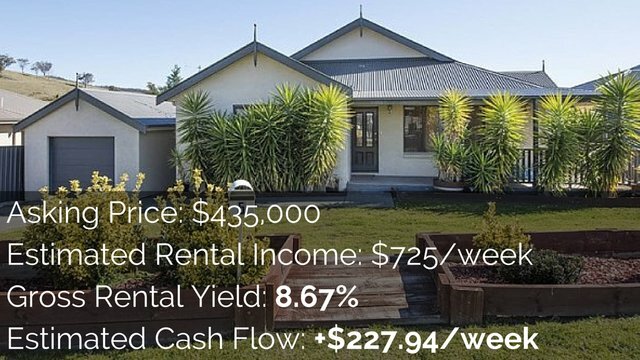 The bigger picture being you know it’s going to go up in value by 10% this year (or it’s got a 10% return) and really get to the nitty-gritty of finding the right property. My biggest challenge would probably [inaudible 7:13] but it’s a huge challenge. Me: Yes. Obviously I found that as you do this more and more you get to know what research data to look at and stuff like that. 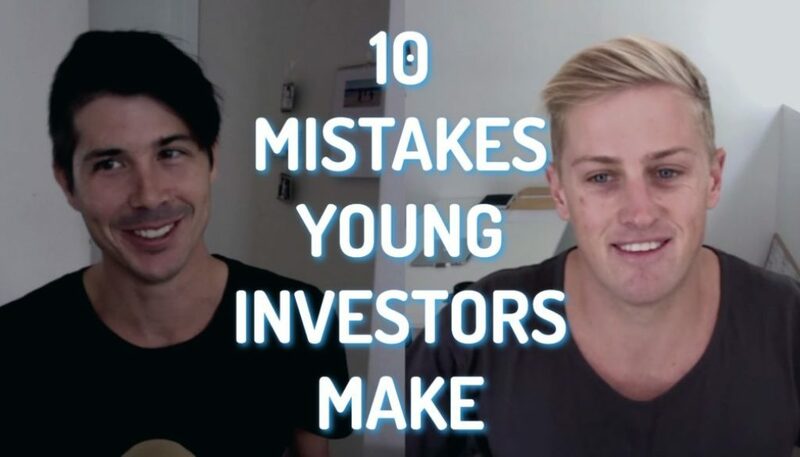 However it’s never perfect and there are always hidden things that you don’t know about and it’s very hard when investing interstate or outside of an area. Even if all the ducks are in a row you still don’t know if there are some underlying factors or something that you can’t find on the Internet about that area until you go there. I do find that often when you are actually visiting in an area talking to the agents and talking to the locals will help you find out so much about the area. Ben: Absolutely, yes. Sometimes it’s initially like a half day’s drive around to couple of agents who tell you more than two months of [inaudible 8:01] research. Me: Yes. I remember someone talking about how they invested in Raymond Terrace (which is just north of New Castle) and all that numbers lined up to that. But Raymond Terrace has a stigma attached to it and that stigma never lifted and so that person didn’t get the growth that they had hoped for. It had like all the right data attached to it and it was in the right proximity to a large area but it just didn’t work for them because of that stigma that was attached to the area. It doesn’t happen like that all the time but it just goes to show you that knowing your local area is pretty important. Is there anything else that we haven’t covered? Ben: I think the other major challenge that I have faced when buying my first three or four properties was probably being patient. 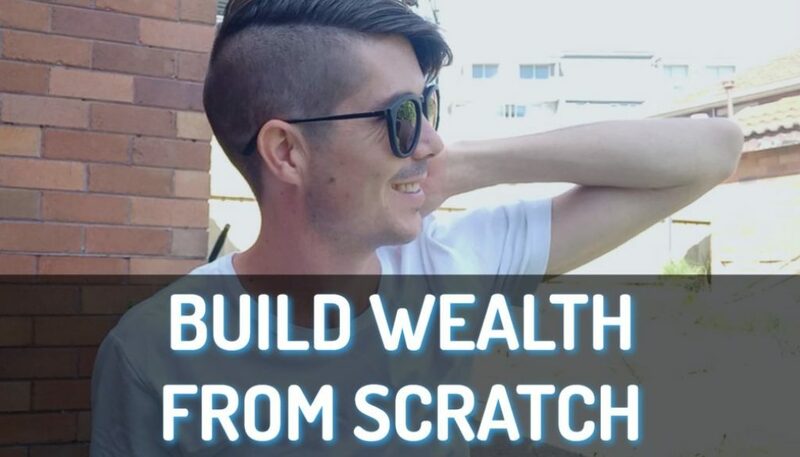 It was like every time I had another deposit to get back into the market I went rushing in because I was so excited from talking to friends, families and people that come through my website. It’s a real common experience but when you make that buy decision you are ready to go. But sometimes the biggest challenge I still face is having that patience to know when it’s not the right time of the market to be buying, it’s not the right offer and to take my foot off the gas and just wait for that right opportunity. There is always opportunity in the market but taking time to really find that right property is sort of what I am trying to do now as opposed to just rushing in there and buying anything. Me: It’s hard to do when you got thousands of dollars burning a hole in your pocket and it’s hard to just sit tight and do nothing. Ben: I recently caught up with the CEO one of the top ten builders in Australia. He has four or five businesses and one of these businesses is doing over a billion dollars a year. He is big player and I asked him what’s his advice and he said the best time to buy a property was yesterday, the next best time to buy a property is today. It’s like if they are stupid enough to give you the money go out and get the money from them. So that’s what [inaudible 10:42] a couple billion dollars’ worth of businesses but he is also a bit of a risk-taker which I suppose has paid off for him. Me: I would say one of the hardest things that I noticed for all of my readers is actually getting an understanding of enough of the market to be confident enough to jump in and to make a decision. People just feel a complete sense of overwhelm as there is so much to learn and there is so much they need to know and they feel like they can’t go forward because of that. Do you have any advice for getting past that sense of overwhelm or what people should know before they jump in? Ben: Yeah I completely agree. I used to absolutely over analyse the numbers to the point where my life would revolve around getting into the numbers. I wouldn’t act on an area until I thought that I understood absolutely everything. I just know now that I was probably looking at the 90% of things that don’t actually matter instead of the 5% of things that really do make that right decision. To answer that question I suppose people should take the time to do the research but then spend the time making those phone calls and trying to get a deep understanding from the people who are actually in the area. These days I’ll just find a random fish-and-chips shop or school and just pick the brains of the people who live in the local area to get that local feel for a street or a suburb or a house. Because at the end of the day they’re the only ones [inaudible 12:21] and it’s interesting what you can learn. Me: I just want to ask how that conversation goes. That was the most brilliant thing I ever heard. Ben: [Laughs] Yes it is a bit of a laugh. We always have a good laugh about it. But for example when I was doing [inaudible 12:41] I would just say that I’m from out of town and look at buying some properties in the area. I said that I talked to a couple of the local agents but I just wanted to get some local advice. Most people are happy to share their experience and they are the ones to tell you when the area is doing bad and when the streets are doing bad since you are not going to hear that from a real estate agent that has got a place they are trying to sell you or are marketing [inaudible 13:11]. Me: Has that happened before? Ben: Yes it was in a little town in [inaudible 13:31] Australia. Me: Oh I guess you would find it out one way. Awesome! Well thank you so much for your advice on some of the hardest things as well as some of the things that people can do. I know that you have just moved out of a full-time employment into working for yourself so I do want to give you an opportunity to let people know what you do because I think a lot of my listeners and readers may be interested in your services. Can you just give us some highlights of what you are doing now? Ben: Sure. I left full employment a month ago. It was actually like I said here [inaudible 14:20] but I have jumped the fence and I started a full time buyer agency which is Pumped On Property. 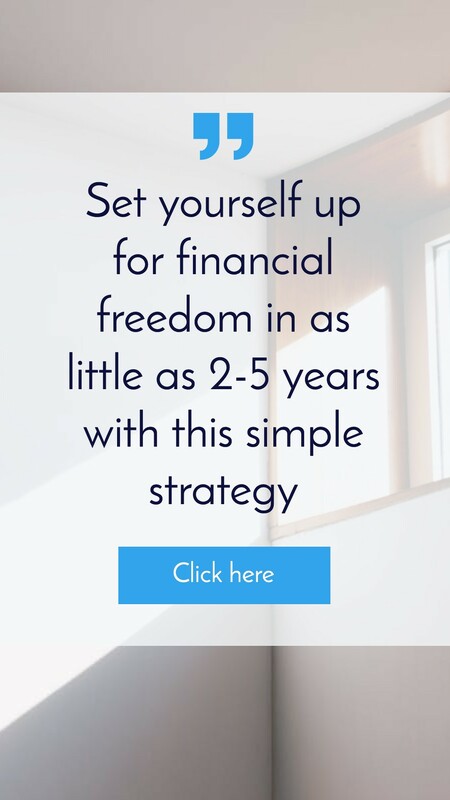 As I said to you the other day I am really really interested in just helping young people and investors who want to buy properties so at the moment we are offering three free strategy sessions to your audience each month. This is basically an hour of my time where they can pick my brain, we can look at what they are doing, we can look at what they plan to do in the future and we can identify a clear strategy in the next step. Hopefully it’ll work out well or otherwise there’s always [inaudible 15:03] . Me: Well, it’s always there if you need to go back to it. I’ll also have a page to redirect people to that. They just go to www.onproperty.com.au/ben and that will redirect people through to the page where they can get that free strategy session with you. Like you said, at the start the hardest thing is knowing where to go in the future and I think that’s going to help people a great deal. Thank you very much and hopefully we can catch up again soon. Ben: Thanks a lot. See you guys. See you Ryan.